"Vocación, trabajo y ministerio" is the Spanish version of "The Other Six Days: Vocation, Work, and Ministry in Biblical Perspective (part I)" by R. Paul Stevens. This book is published and sold by Andamio for 7,00 €. Uno de los grandes peligros que corremos los cristianos es compartimentalizar nuestras vidas, haciendo que parezca que Dios está interesado únicamente en algunas áreas, en algunas actividades o en algunos días de la semana. Nuestro trabajo, sea cual sea, y el mundo laboral en general, no pueden quedar al margen de Dios, sino al contrario, debemos desarrollar una visión clara de que ahí también estamos sirviendo al Señor. ¿Te imaginas el impacto que puedes tener si todo lo que haces en tu día a día lo hicieses como para el Señor? Con esta serie titulada Los otros seis días estaremos abordando, a lo largo de tres Básicos Andamio, la integración de tres grandes temas que tendemos a separar: Vocación, trabajo y ministerio. Para ello, hemos decidido publicar en tres partes el libro original de R. Paul Stevens, The Other Six Days [también publicado bajo el título de The Abolition of the Laity]. Mungu siyo tu mwanzilishi wa kazi bali yeye alikuwa mfanyakazi (Mw 1, 2; Yoh 5:17, Uf 21:5. Tunaposoma Biblia kuanzia mwanzo hadi ufunuo tunamuona Mungu katika taswira tofautitofauti zinazomuonyesha kama mfanyakazi katika nyanja mbalimbali: Mungu anaonekana kama mchungaji (Zab 23), mfinyanzi (Yer 18:6) Daktari (Math 8:16), Mwalimu (Zab 143:10), Mkulima (Isa 5:1-7) na kadhalika. Mungu anaendelea kufanya kazi hata sasa; anaumba, anatunza, anaokoa na kuendeleza uumbaji wake kama vile alivyofanya takribani miaka bilioni tano ya nuru iliyopita tangu ulimwengu ulipoanza. Several prevailing misunderstandings make it difficult for us to come to the biblical data on their own terms without forcing on the material a grid of expectation formed by popular Christian teaching. It is popularly understood, for example: (1) that spiritual gifts are given at the time of conversion and do not change during one’s lifetime; (2) that Christian maturation is hampered if we do not know what our gift is; (3) that our gift defines our identity (“I am a teacher”); (4) that gifts are primarily linked to roles and offices in the church; (5) that the more extraordinary gifts are indications of advanced spiritual life; (6) that gifts have little to do with our natural capabilities (sometimes called talents); (7) that gifts concern the spirit of a person (generally people talk of spiritual gifts but not of Spirit gifts); (8) that gifts define the character of the personal ministry of each Christian; (9) that emphasis on spiritual gifts may threaten the unity of the church and (10) that the lists of gifts in the New Testament are definitive and exhaustive. The word ministry is derived in both Greek and Hebrew from a word that simply means “service.” A Christian servant is someone who puts himself or herself at God’s disposal for the benefit of others and for the stewardship of God’s world. Christian service—commonly called ministry—accords with God’s purposes for people and the world and has the touch of God, often unknown to the servant. Christian service makes no distinction between the sacred and the secular. Washing dishes, designing a computer program, preaching a sermon and healing the sick are all one, as William Tyndale said so long ago, “as touching the deed to please God.” How far this is from contemporary thinking about ministry! George Bernard Shaw once said that every profession is a conspiracy against the laity. But there is a problem with this cynical remark when it is applied to the church. It is pointless to launch a conspiracy against something that no longer exists. The New Testament does not reveal two peoples: the professional clergy (those who are superior, gifted and powerful) and the laity (those who are inferior, untrained and powerless). Rather there is one people: the laity (in Greek laos), which includes the leaders. Moreover the leaders, like the led, are first and foremost members of the laity and share the exquisite honor of the people of God (1 Peter 2:9-10). Indeed the cultivation of professionalism by leaders of the church is incongruous with the essentially amateur nature of all Christian ministry. It is the work of love (as the root meaning of amateur indicates). To recover a biblical perspective on the people of God, we may need to abolish the words laity and clergy. We may also need to reinvent a way of expressing the dignity and duty of the ordinary Christian. In preparation for this we must first examine the biblical data, then reflect theologically on the identity and vocation of the people of God and finally consider what this all means. In common speech clergy is a term used to describe a religious official, certain members of a religious order or a pastoral leader of a church or denomination. Its counterpart is laity—the untrained, uneducated, common members of the church. This two-people approach to the church is anachronistic and unbiblical (see Laity). We look in vain in the Bible for laypersons in the sense of untrained, unequipped and not-called. Those words available in the ancient world to describe laypeople (in the common sense)—laikos and idiōtēs—were never used by inspired writers to describe Christians. Instead we are introduced to the whole people of God—designated by the word laos (the people)—who including leaders together are the true ministers. The Greek word for clergy (klēros) is used to describe the dignity and appointment of all the people to ministry. So paradoxically the church has no laypeople in the usual sense of that word and yet is full of clergy in the original meaning of that word. The English word vocation comes from the Latin vocatio, which means “calling”; they are the same thing, though this is not obvious to the people who use these words. Experiencing and living by a calling provides a fundamental orientation to everyday life. But most of the world today has strayed from this and defines calling as a self-chosen career, usually a professional one that involves keeping appropriate standards and norms. The fact that many people speak of their jobs as their “vocation” while pastors and missionaries speak of “being called” shows how inadequately we have grasped the universal call of God to every Christian. As Os Guinness says, calling means that our lives are so lived as a summons of Christ that the expression of our personalities and the exercise of our spiritual gifts and natural talents are given direction and power precisely because they are not done for themselves, our families, our businesses or even humankind but for the Lord, who will hold us accountable for them. A calling in Scripture is neither limited to nor equated with work. Moreover, a calling is to someone, not to something or somewhere. This last statement is sublimely significant but missed in this postvocational world. At some time or other every one of us feels that we are in the wrong place, at the wrong time doing the wrong thing. Maybe even married to the wrong person! If, we think, we were somewhere else, doing something else we could be useful and deeply satisfied. But the reality is that God has a providential purpose in our lives right where we are. And the Creator has been involved, secretly it often seems, in all the details of our everyday experiences as well as our life-long work trajectory. The early desert fathers and mothers, those spiritual athletes who took to the desert to find God, often told one another, “Stay in your cell. It will teach you everything.” Translated into contemporary English this means:”Don’t go promiscuously from job to job looking for the perfect fit. There is a life-giving divine purpose in your life right where you are. "How can Christianity call itself catholic if the universe itself is left out?" "I cannot think of a greater tragedy than to think that I am at home on earth...."
"Only the heavenly-minded are of any earthly use." Years ago Leslie Newbigin said that "mankind is without any worthwhile end to which the travail of history might lead. "xxvi A few believe we are heading into a new world order and paradise on earth but most people nurse a deep foreboding about the future, or refuse to think about it more than they must. The seeming resultlessness of history erodes the nerve of modern persons including, I must add, Christians who have more reason to embrace the future wholeheartedly than anyone. Whether world-weariness and future fright comes from the terrifying prospect of ecological doomsday, or, as is often the case with Christians like the Thessalonians, from the conviction that Jesus will probably come tomorrow, the result is the same for Christians: all work in this world except the so-called "ministry" is viewed as not very significant or enduring. "To discover God in the smallest and most ordinary things, as well as in the greatest, is to possess a rare and sublime faith. To find contentment in the present moment is to relish and adore the divine will in the succession of all the things to be done and suffered which make up the duty to the present moment." "What you do in your house is worth as much as if you did it up in heaven for our Lord God." "Does God work?" Willie MacMichael asks his father in George Macdonald's book for children. "Yes, Willie, it seems to me that God works more than anybody - for He works all night and all day and, if I remember rightly, Jesus tells us somewhere that He works all Sunday too. If He were to stop working, everything would stop being. The sun would stop shining, and the moon and stars; the corn would stop growing; there would be no apples and gooseberries; your eyes would stop seeing; your ears would stop hearing; your fingers couldn't move an inch; and, worst of all your little heart would stop loving." "Today we cannot claim to know the end and goal of history. Therefore the question of meaning in history has become meaningless." "Now the situation of the Christian in the world is a revolutionary situation. His share in the preservation of the world is to be an inexhaustible revolutionary force in the midst of the world." Now we must turn to the intriguing and usually neglected first-half of the phrase "royal priesthood." The kingdom of God is the master thought of Jesus (used over one hundred times in the Gospels in comparison with only three references to the church). The kingdom ministry of all believers expresses the exteriority of every member ministry--how the people of God express the redeeming and life-giving will and influence of God not just in the church but in the whole of creation. What Makes a Business Christian? The presence of a Christian in a business does not necessarily mean the business is Christian, as some Christians keep their faith and daily work in separate compartments. Here are 10 things that can mark a Christian business. 1. The presence of Christians with a sphere of influence. Owners, managers and employees can “incarnate” their values into every aspect of a business. Clerks, for instance, can draw an imaginary 30-foot radius around their work station and regard it as their “parish” where all people, structures, equipment and interactions are within their circle of prayer and influence. “What do you teach at Regent College?” This seemingly innocent question was broached by the guest master of an Orthodox monastery. I had undertaken a four-day pilgrimage on Mount Athos, the monastic peninsula of the Eastern church. In the course of praying my way from monastery to monastery I struck up a soul friendship with one of the guestmasters. “Marketplace theology is what I teach.” “What’s that?” - his inquisitiveness now aroused by something foreign, he thought, to the spiritual life. “It is the integration of Christian faith with work in the world.” “It’s not possible,” he retorted. “That’s why I am a monk.” I can understand how he came to that erroneous view. It has to do with how we read the Bible, how we regard the spiritual life and whether the God-coming of Jesus was really into the work-a-day world that we inhabit. Culture is a dimension not only in the life of countries and ethnic groups but also in organizations. Every organization has a corporate “feeling” or environment that communicates to new and old members what is important and what is permitted. This is true of businesses, small groups, clubs, churches, nonprofit and parachurch organizations. The minute a person walks into the meeting room, the store, the office or the sanctuary, he or she picks up a nonverbal message that is more powerful than such mottoes as “The customer is number one”; “We exist to give extraordinary service”; “This is a friendly, family church.” Culture turns out to be profoundly influential in determining behavior, expressing values and enabling or preventing change. Wealth – Blessing, Temptation or a Sacrament? Wealth: A Blessing, Temptation, or a Sacrament? Hardly anyone wants to be poor; most would like to be rich. Wealth brings power, standing in the community, increased leisure, and freedom from worry--so it is thought. Not surprisingly in the richest part of the world many Christians are preaching a "prosperity gospel"--that faithfulness to Jesus will lead to personal wealth. Tragically, this distorted message is now taking root in some of the poorest countries of the world. Is wealth a sign of God's blessing? Is money the main measure of wealth? Does the Bible endorse wealth, promote it or exclude it? How are we to respond in spirit and action? Our souls hang on our answers to these questions. Copyright - R. Paul Stevens 2000.
the idea that the whole of our life is a response to the summons of God and not merely a matter of self-directed development. William Perkins (1558-1602), while little known, deserves a modern hearing because he is the only Puritan[iv] author to describe calling in a systematic way. [v] Thus sections of his Treatise of the Vocations [vi] written around the turn of the seventeenth century,[vii] are paraphrased in an imaginary conversation between Perkins[viii] and a twentieth-century Baby-Boomer (that demographic population bulge of people born between l946 and l964)[ix] in order to contrast one modern view of vocation with a Biblical view. The endnotes offer a few clarifying comments and corrections of the imbalance of the Puritan view of calling. [i]. 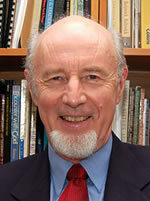 In his masterful treatment of work and calling, Paul Marshall follows Basil Hill's definition of Puritan as "restlessly critical and occasionally rebellious members of the Church of England who desired some modifications in church government and worship, but not those who removed themselves from the church. in "Work and Calling: Puritan and Dissenters", Chapter 4 in Callings: Spirituality, Work and Duty in Sixteenth and Seventeenth Century England (unpublished manuscript, Toronto, l991),p.1. [ii]. Os Guiness, "Vocation and Calling", an audiotape produced by The London Institute of Contemporary Christianity, London, U.K., June 5-9, l989. [iii]. These two words mean substantially the same thing, though in modern usage "vocation" has been identified with career, and "calling" with religious service or the work of a professional minister. [iv].Ian Breward notes that "Perkins himself showed little sign that he thought of himself as anything other than a normal and loyal member of the Church of England. He repudiated the label of 'puritan' except for those who believed that it was possible to live without sin in this life, and felt that it was possible to live without sin in this life." Ian Breward, ed. The Work of William Perkins (Appleford, England: The Sutton Courtenay Press, l969), p. 15. [v]. Marshall, op. cit., p. 8. Earlier Protestant writers had used the concept of vocation to reflect critically on the medieval idea that vocation had little to do with ordinary life in this world. Perkins used the doctrine of vocation to expound the Calvinist distinction between general and particular calling and to provide a firm link between justification and sanctification. He had the further interest of providing in the Gospel a firm foundation for social stability and societal responsibility. Breward, op. cit., p.443. [vi]. William Perkins, "A treatise of the Vocations, or Callings of Men, with the sorts and kinds of them and the right use thereof," in The Workes of that Famous and Worthy Minister of Christ in the University of Cambridge, Mr. William Perkins. London: John Legatt, 1626. This has been reprinted, with some portions deleted, in modern English in Ian Breward, op. cit. [vii]. No precise date can be assigned to the Treatise. [viii]. I have five reasons for making Perkins' thoughts available: First, Perkins is thoroughly biblical as he defends his views by biblical principle and text. Second, Perkins provides vocational counselling as he is concerned with how vocational decisions are made. Third, his Treatise is practical, concerned with real issues of living in the world. Fourth, Perkins is lay-oriented as he makes no distinction in dignity in the calling of the non-clergy laity and the clergy. Finally, Perkins is oriented to the heart and is concerned to evoke a deep personal spirituality that will result in the transformation of character. [ix].Paul C. Light, Baby Boomers. New York: W.W. Norton Company, l988. God came to earth as a worker. Jesus was born in the marketplace, in fact in a hotel. Not actually in a nicely prepared suite but in the underground parking garage because the inn already had full occupancy. He was wrapped in a towel provided by the laundry service and placed in the back seat of a car. He grew up in a working-class home. As a young man he learned a trade and before he had worked a miracle or preached a sermon he pleased the Father so much that at his baptism the Father said, “You are my beloved son with whom I am well pleased.” Of Jesus’ 132 public appearances in New Testament, 122 were in the marketplace. Of the 52 parables Jesus told, 45 had a workplace context. Jesus called 12 normal working individuals, not clergy, to build His church. And some of them had questionable professions (tax collector, zealot). How can this be? Can we be human beings that are rich toward God and be so in the marketplace? What does it mean to create true wealth? And what is the true meaning of our lives, especially our lives in the workplace? Jesus doesn’t merely welcome these questions. He positively demands that we ask them, and he does so through parables.